The New Scorpion Decat Downpipe removes the restrictive standard cat and downpipe and replaces it with a 3" free flowing downpipe. The turbo will spool better and faster, increasing acceleration and power. Coupled with the Scorpion cat back, your RS will sound like no other. Scorpion have brought the true motorsport feel to the MK3 RS. The Pumaspeed Workshop team are ready to fit the Ford Focus RS MK3 Scorpion Decat Downpipe in our Head Office located here. Therefore making parts and labour a total cost £365.50 (inc. VAT). 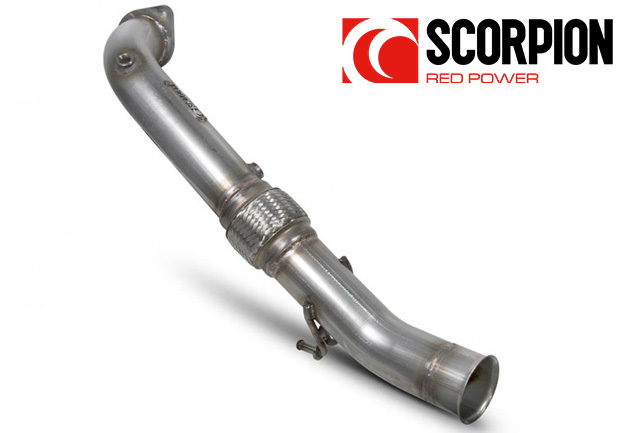 Pumaspeed have a specialist distribution team that can dispatch the Ford Focus RS MK3 Scorpion Decat Downpipe to any destination worldwide.